Office Christmas Party is a fun little movie. 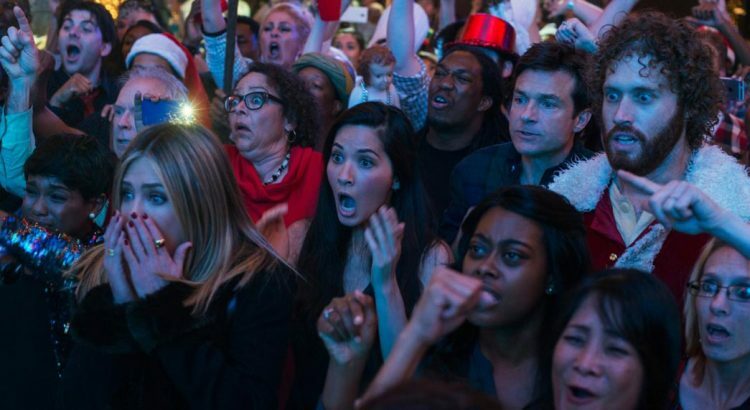 The plot revolves around the “Save the Rec Center” and is predictable – but was fun anyway. This movie would be best seen with a huge crowd in a theater. The premise of the movie is that a brother has to save his failing branch of the family’s tech company before his sister can close them down. To say they do not have the best of relationships would be an understatement. To land the deal that is supposed to save the company, the brother expands their canceled wine and cheese christmas party to an over the top event. With a DJ, snow machine, live reindeer, eggnog luge, etc. We get to see how things start out fine, then progressively worsen as the night goes on.